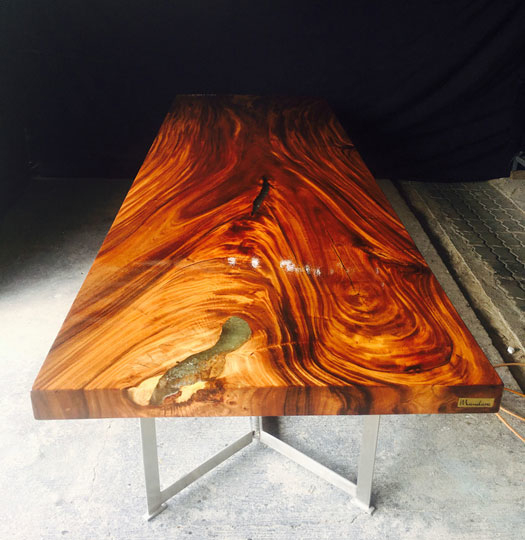 Featured here are some of our most recent creations which illustrate some of our main styles of tables. 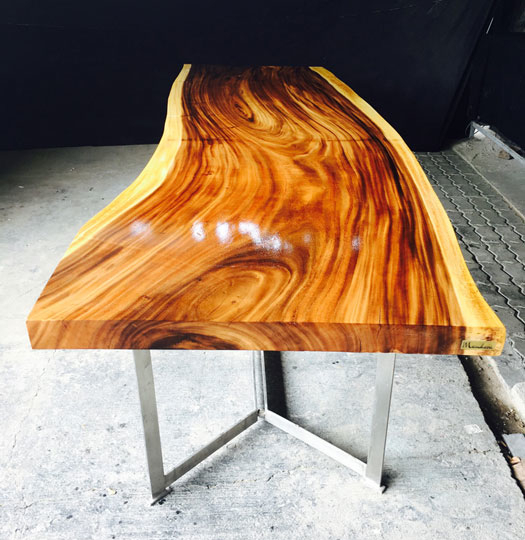 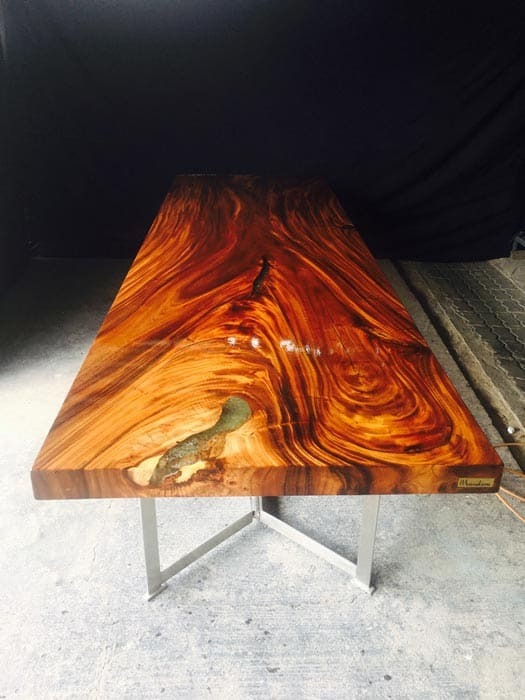 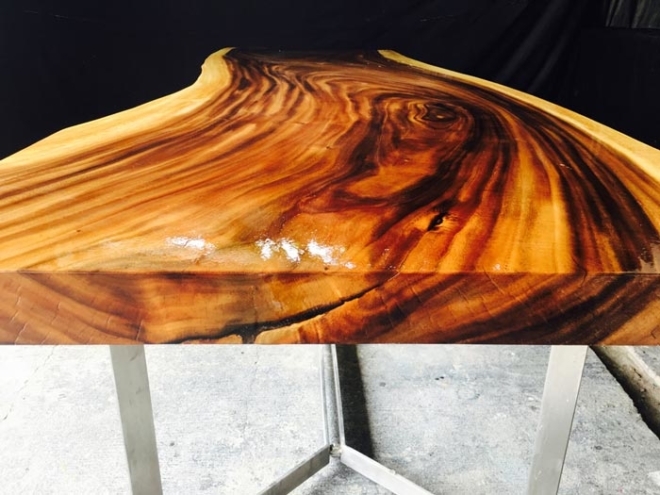 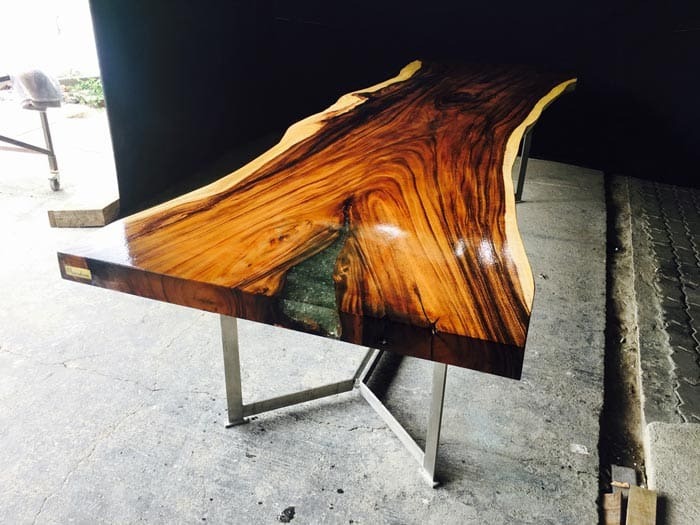 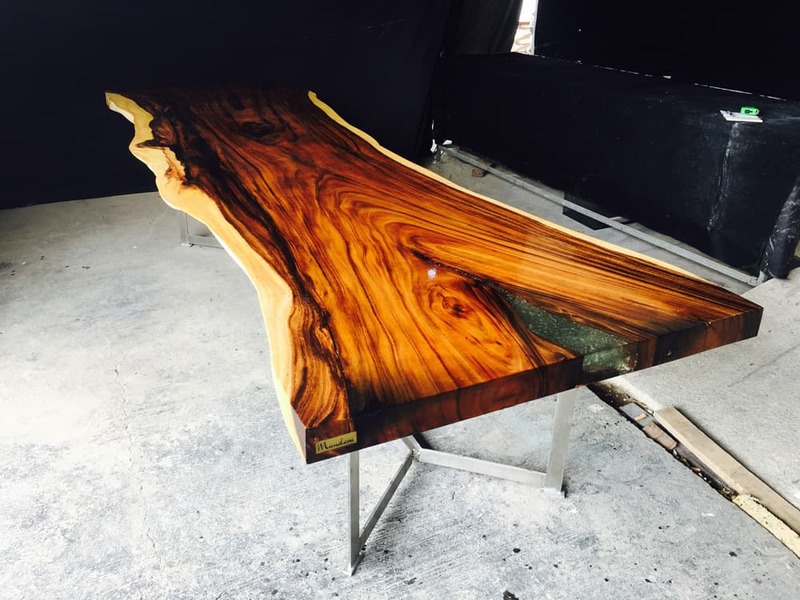 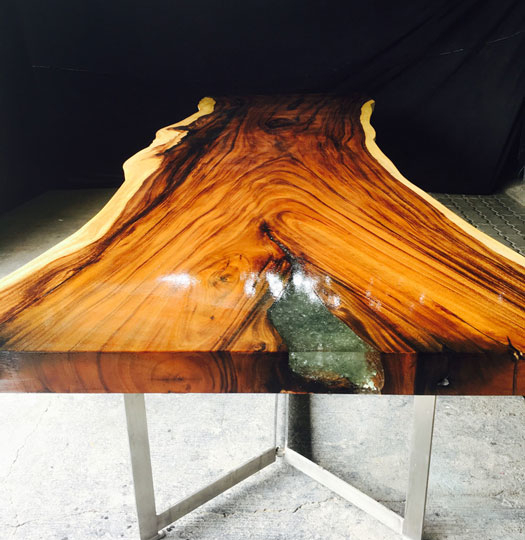 Freeform table tops retain the full natural shape and character of the the natural material which is wood. 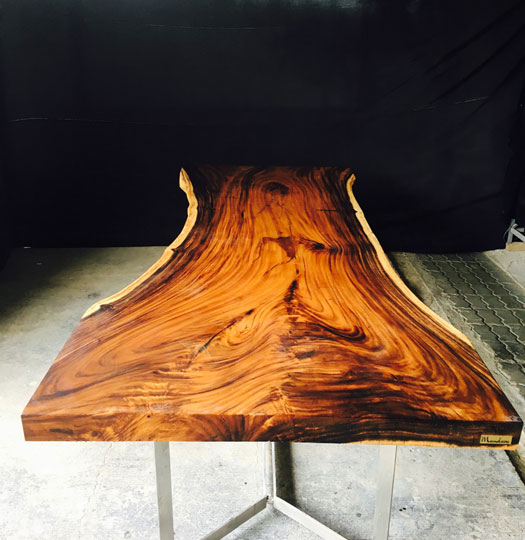 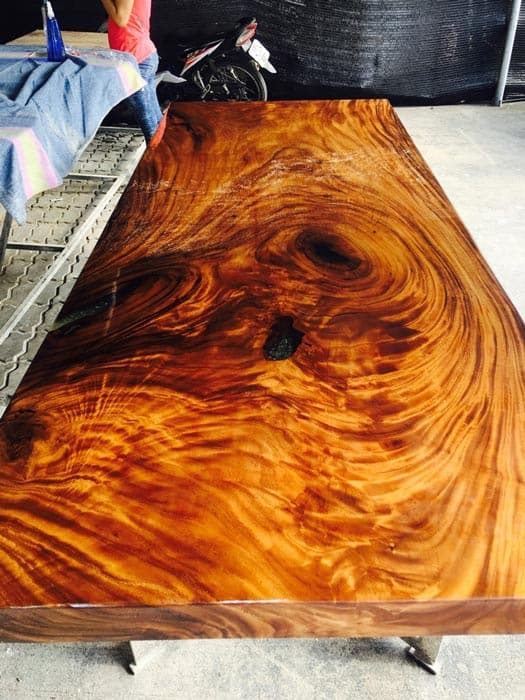 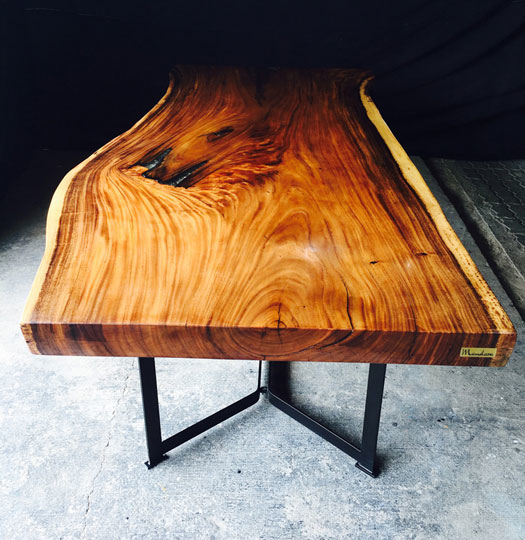 Often referred to as ‘live-edge’. 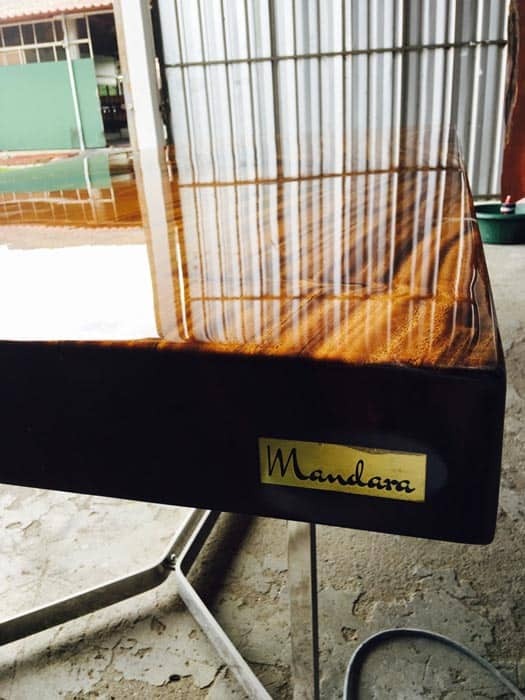 Mandara’s Square-Cut slabs convey a perfected, modern, clean, precision cut aesthetic. 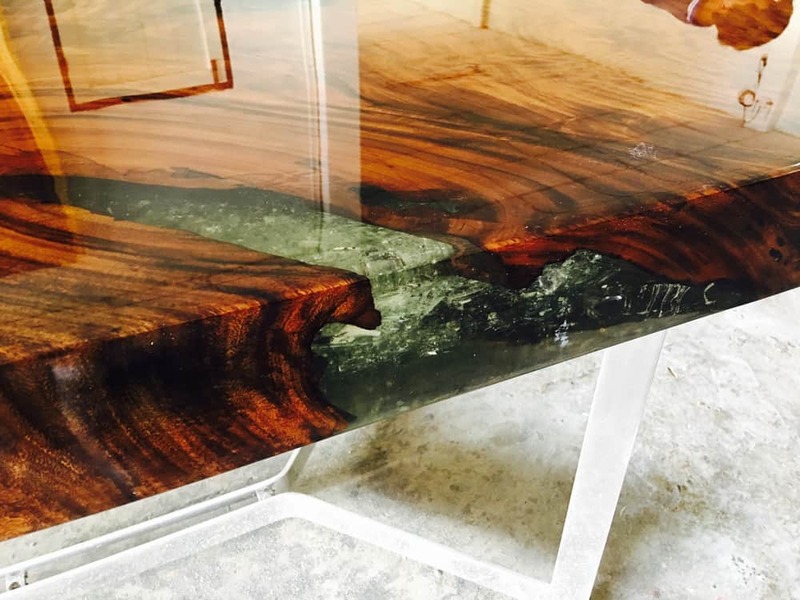 At Mandara, cracks and natural crevices in the timber can be filled with our unique smashed liquid crystal fill. 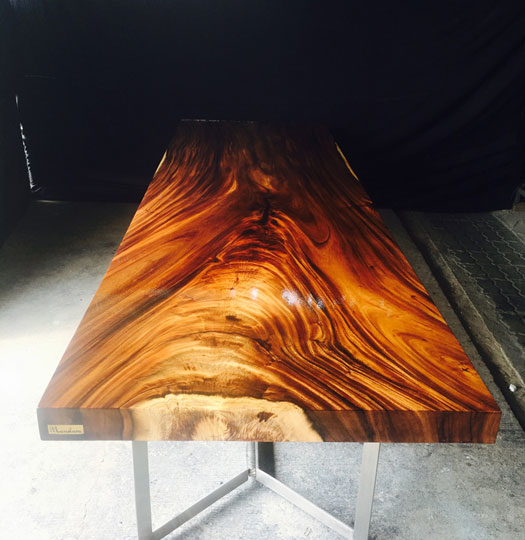 Our Signature Product. 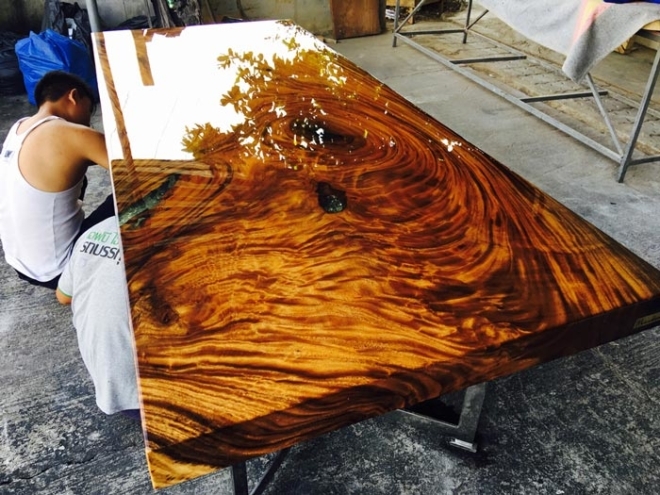 The Liquid Crystal top is mirror-like in its reflective qualities. 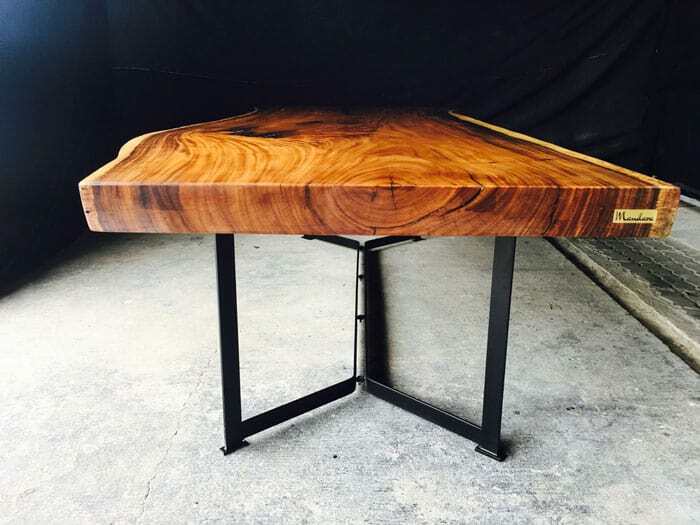 We take all of our pictures with just standard iPhone cameras in order to capture the most realistic image without using Photoshop or Filters. 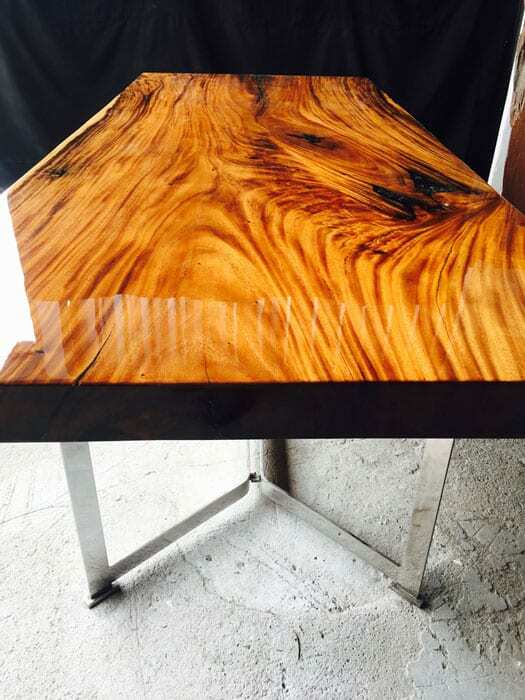 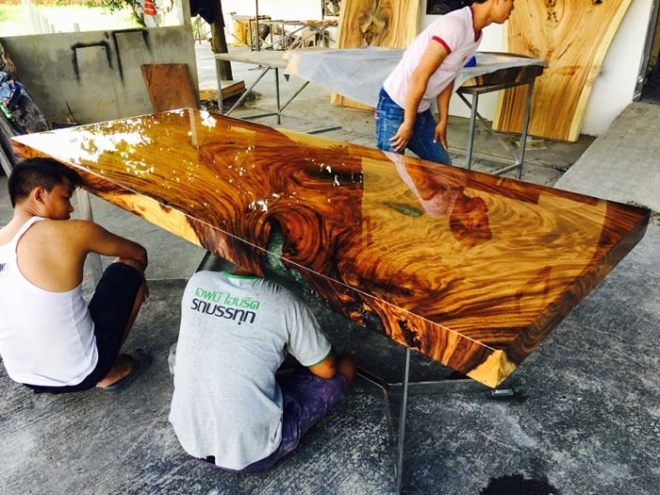 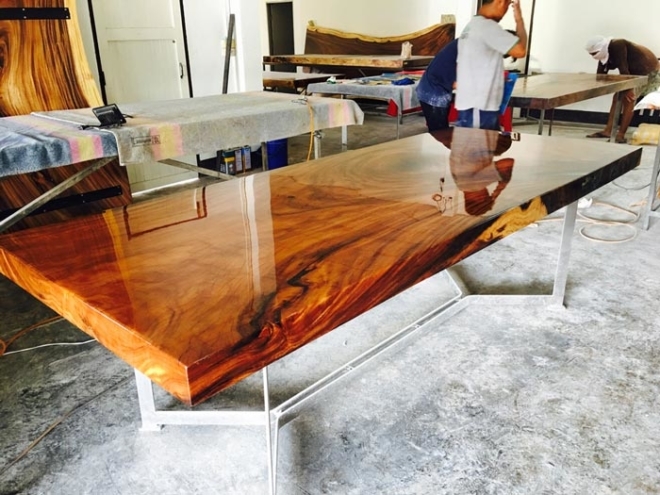 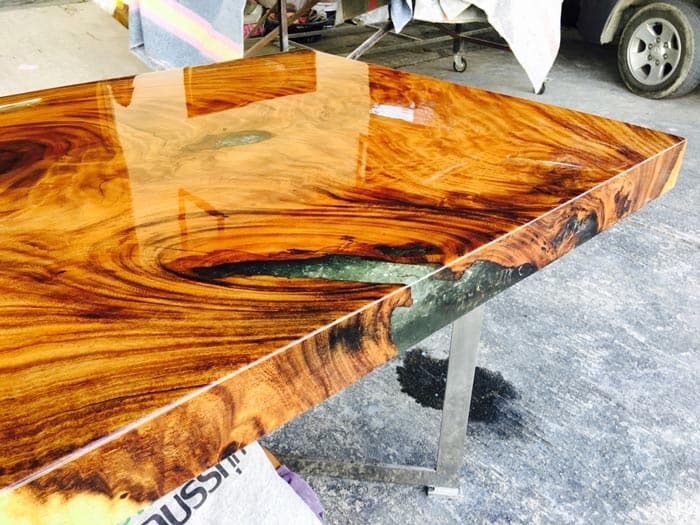 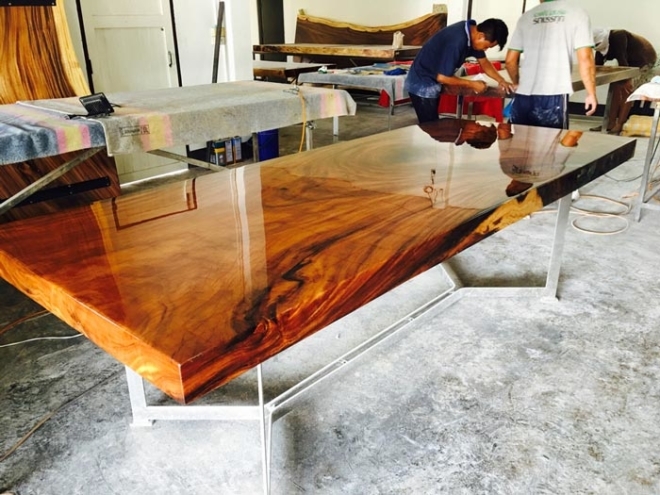 We are proud of our work and want to show you our tables’ exact beauty as realistically as possible.